So you’re the proud owner of a retirement account and you’re in or approaching your 70s. This is about the time that required minimum distributions, or RMDs, will come into play. But what happens when you miss taking your RMD, and what are the consequences? In this guide, we provide an overview of RMDs, the taxes surrounding them, IRS Form 5329 and more. If you remain unsure of what to do next even after going through this article, perhaps you should talk to a financial advisor. When you put money into a tax-deferred individual retirement account (IRA) or any retirement account, you can’t leave it there forever. Beginning at age 70 1/2, you must take a minimum distribution, sometimes known as a withdrawal, from the plan. Similarly to most other forms of income, you have to pay income taxes on distributions as well. 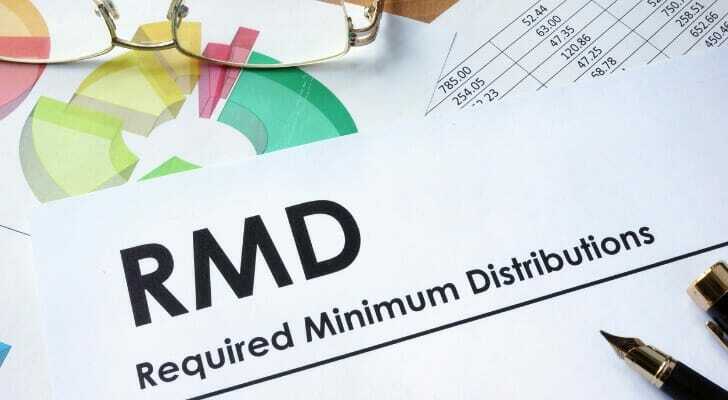 But if you don’t take a required minimum distribution (RMD) on time and in the right amount, the penalty can be severe. For every dollar you didn’t take out when you were supposed to, the IRS will charge you a 50% penalty tax. This can add up significantly over time. The IRS determines the amount of your RMD by dividing the total balance of all of your IRA accounts by your life expectancy. At age 70, the IRS pegs your life expectancy at 27.40 years. In other words, if you have $100,000 across one or more IRAs, your RMD is $100,000 divided by 27.40, or about $3,650. Forgetting to take your RMD could leave you liable for 50% of that amount, or almost $1,825, in penalty taxes. To add to the problem, the rules for when you have to take your RMD are somewhat complicated. Furthermore, neither the IRS nor your retirement plan provider is required to notify you of the specifics surrounding your RMD. Did you just turn 70 1/2? If so, your deadline to withdraw the correct RMD is April 1 of the following the calendar year. For every year after this, the deadline will shift to December 31. If you choose to delay your withdrawal until April 1, this will make it so you’ll have to withdraw two RMDs the first year after turning 70 1/2. The initial one is the April 1 deadline, and the second is subsequently December 31. As a side note, it might be advisable to take the first RMD (which would normally be due in April) on or before December 31 of the previous year. 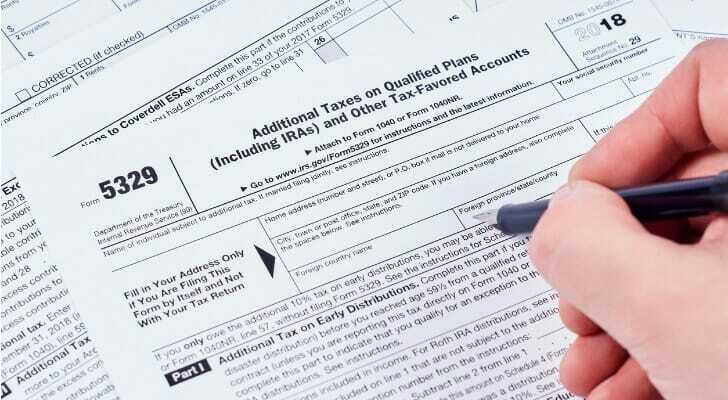 This might help you avoid a bump in taxable income that could put you in a higher tax bracket. Another mistake that people sometimes make is taking their RMD from the wrong account. 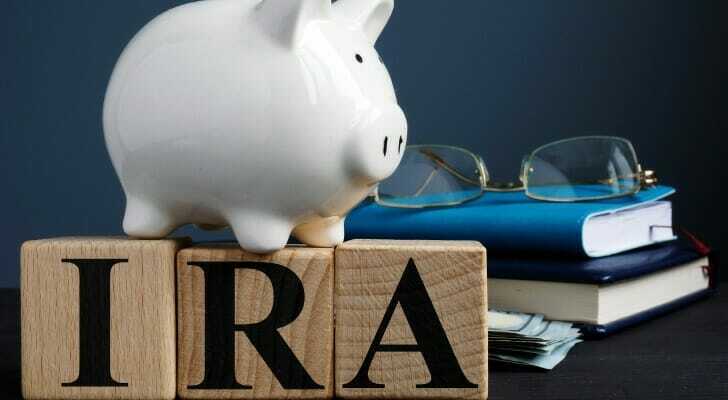 The IRS requires RMDs from many different types of retirement accounts, including traditional IRAs, SEP IRAs and SIMPLE IRAs, as well as 401(k) plans, 403(b) plans, 457(b) plans and profit-sharing plans. To be specific, you can take your RMD from any one or any combination of your own retirement accounts. Inversely, the RMD requirement cannot be met via a withdrawal from your spouse’s accounts, or vice versa. The inheritance of a retirement account can cause things to change yet again. If the original owner of the account died before age 70 1/2, then the beneficiary has to start withdrawing an RMD. Those RMDs have to start December 31 of the year after the original account holder passed away. First thing’s first. Those who don’t meet the stipulations of their RMD should fix their mistake as soon as possible and make the appropriate withdrawal. It goes without saying that you should be sure to calculate your RMD accurately this time around. Next, you need to file IRS Form 5329. If you want to just pay the 50% penalty tax, this is the form to use when sending in your check. Don’t be too quick to send in that payment, though. The IRS allows for waivers of the penalty if there was a “reasonable error.” While there are no guarantees, odds are good you can get a waiver. Requesting a waiver is as simple as sending in a letter of explanation with your Form 5329. In your letter, give a clear overview of why you think you qualify for a waiver. Including a description of the steps you took to fix this issue is a good idea. Don’t send a check for the penalty if you do this, as no payment is needed if you’re attempting to get a waiver. Unfortunately, there’s no consensus or rule for what the IRS considers to be a reasonable error. However, circumstances likely to win you a waiver include an illness, a death in the family, a natural disaster, a move that disrupted your mail or even bad advice. So, if you can think of something that might qualify as a reasonable error, go ahead and follow the aforementioned process. The IRS will let you know if it chooses to turn down your waiver request. If you don’t hear anything, you should be fine. If you find yourself dealing with an RMD penalty, don’t feel alone. A 2015 study by the U.S. Treasury Inspector General for Tax Administration (TIGTA) found that more than a quarter of a representative sample of taxpayers who had traditional IRAs were erroneous in their RMD calculations. What this is essentially getting at is that RMDs can be tough to understand. You may be able to avoid paying the 50% tax if you make a mistake. However, the best way to skip out on this mess entirely is to pay when and how much you’re supposed to. Don’t be afraid to ask questions or even speak to a financial advisor if you’re uneasy and nearing your deadline. Responsibly managing your retirement funds can be difficult, but there are tools available to help you plan things out. Our retirement calculator takes the details of your personal financial situation and assesses how much you’ll need to retire securely. To be as precise as possible, make sure you know where you want to retire, your current annual income, the age you expect to take Social Security and how much you’re currently saving on a monthly basis. There’s no shame in seeking out professional advice when planning your retirement. If you’re interested, SmartAsset’s financial advisor matching tool will pair you with as many as three financial advisors in your area. Simply take a few minutes to respond to our questionnaire, and you’ll get to choose which advisor is right for you. The post What to Do If You Miss Your RMD Deadline appeared first on SmartAsset Blog.